A Massey University report finds that vessel traffic in the Bay of Islands is affecting important behaviours in a population of bottlenose dolphins. The report was prepared on behalf of the Department of Conservation to evaluate the effect that marine vessels have on the nationally endangered bottlenose dolphin in the Bay of Islands. Lead researcher Catherine Peters, doctoral candidate at the Coastal-Marine Research Group, Institute of Natural and Mathematical Sciences, says “the findings point to behavioural changes and a continued decline in the population.” The report recommends improvements to the existing regime to improve their current management. The study, undertaken between December 2012 and April 2015, identified a population of 96 bottlenose dolphins, representing a 66 per cent decline as compared to a previous study presented in 2002. Additionally, 75 per cent of bottlenose dolphin calves observed were suspected to have died before reaching independence. This represents an increase in calf mortality as compared to the 52 per cent presented in a previous study in 2009. 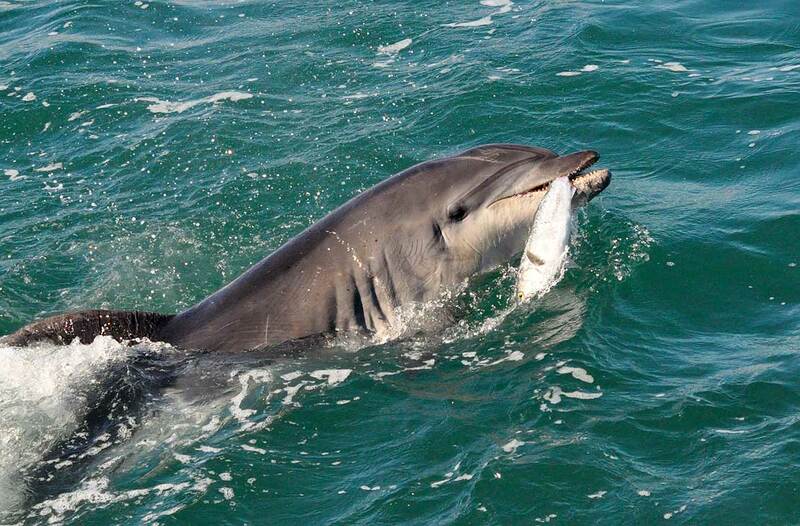 The report found that when vessels were within 300 metres, dolphin spent significantly less time undertaking biologically critical behaviours such as resting and foraging, which decreased by 133 per cent and 160 per cent, respectively. Instead, dolphins engaged in more energy-sapping behaviours such as socialising and diving, which increased by 126 per cent and 300 per cent, respectively. The report also found that on average, dolphins spend 86 per cent of daylight hours in the presence of at least one vessel. The Bay of Islands has a high level of boating traffic around the dolphins and is renowned for its commercial dolphin tourism. However, private vessels were as equally prevalent alongside other non-permitted vessels when it came to boat interactions with dolphins. Dr Karen Stockin, director of the Coastal-Marine Research Group and supervisor to Ms Peters, says that cause and effect cannot be conclusively drawn from these research findings. A range of recommendations in the final report includes simplification of permit conditions, no interaction zones, community engagement, education and enforceable regulations.